The broadcaster will also continue presenting Newstalk’s Breakfast show. UTV IRELAND HAS announced that Newstalk journalist and presenter Chris Donoghue will be the new anchor of its news and current affairs programmes. He will anchor alongside Alison Comyn when the channel’s programmes, ‘Ireland Live’ and ‘Ireland Live at 10′, launch on Monday 5 January next year. He will also continue to co-present Newstalk’s Breakfast show. Speaking today, Donoghue said this is a great opportunity for him to continue what he loves and progress his career. UTV Ireland has displayed huge ambition to be a leading force in Irish television. The team that they have recruited to deliver that ambition is innovative and talented. I am very proud to be part of that team and I am counting down the days until the channel launches, in the New Year. I'm excited to be joining @UTVIreland as a presenter in January, I'm also excited to continue to grow old with Ivan on @NewstalkFM. Mary Curtis, Head of Channel at UTV Ireland described the journalist as “one of the most exciting and talented broadcasters in Ireland today”. “He has had an exceptional career in quite a short time frame and is now one of the most respected broadcasters in the country,” she said. Newstalk’s CEO Gerard Whelan also congratulated Donoghue, saying he was delighted that he has the opportunity to make the break into television. Email “Newstalk's Chris Donoghue will anchor UTV Ireland's news programmes”. 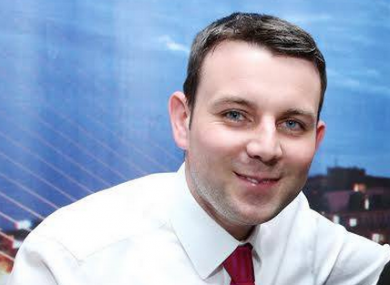 Feedback on “Newstalk's Chris Donoghue will anchor UTV Ireland's news programmes”.